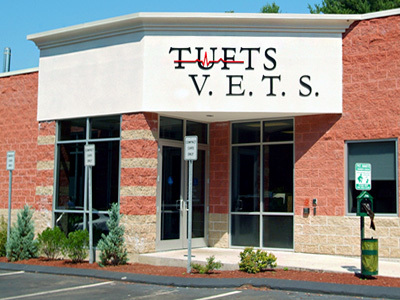 Serving pets throughout New England, Tufts VETS in Walpole, Massachusetts is conveniently located with easy access from Highways 95, 495, and 295; and routes 1, 1A, and 27. The facility is located at 525 South Street in Walpole, MA in a 15,000-square-foot health-care center. We are open 24 hours a day. Appointments are available Monday through Saturday. Please bring a copy of your pet's medical records and list of medications to the appointment. Please use the interactive Google Map below to locate and get directions to our specialty and emergency veterinary hospital.